Scientists have warned that humans should brace for the emergence of a new virus that could be deadlier than Ebola Virus Disease (EVD), Severe Acute Respiratory Syndrome (SARS) or Zika. The scientists in a study published on March 14, 2016, edition of the journal, Proceedings of the National Academy of Sciences, titled “SARS-like WIV1-CoV poised for human emergence” said outbreaks from zoonotic sources represent a threat to both human as well as the global economy. A zoonotic disease is a disease that can be passed between animals and humans. The scientists are already bracing for a potential outbreak of the new SARS-like virus. They warn the new virus, called WIV1-CoV, may induce the same results in humans as SARS – starting out with flu-like symptoms and accelerating rapidly to pneumonia. According to the World Health Organisation (WHO), Bat SARS-like coronavirus WIV1, (Bat SL-CoV-WIV1) also sometimes called SARS-like coronavirus WIV1 that is W1V1-CoV, is a newly identified CoV isolated from Chinese rufous horseshoe bats. The discovery confirms that bats are the natural reservoir of the SARS virus. Phylogenetic analysis shows the possibility of direct transmission of SARS from bats to humans without the intermediary Chinese civets, as previously believed. The scientists say this virus may never jump to humans, but if it does, WIV1-CoV has the potential to seed a new outbreak with significant consequences for both public health and the global economy. According to the researchers, the capacity of this group of viruses to jump into humans is greater than originally thought. 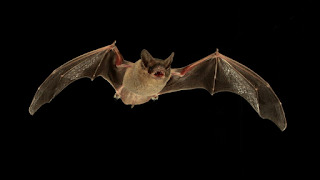 While other adaptations may be required to produce an epidemic, several viral strains circulating in bat populations have already overcome the barrier of replication in human cells and suggest reemergence as a distinct possibility. The researchers wrote: “Focusing on the SARS-like viruses, the results indicate that the WIV1-coronavirus (CoV) cluster has the ability to directly infect and may undergo limited transmission in human populations. However, in vivo attenuation suggests additional adaptation is required for epidemic disease. According to reports, the SARS outbreak of 2003 infected 8,000 people – and claimed nearly 800 lives. More recently, the Ebola epidemic that swept through West Africa in 2014, infecting nearly 29,000 people and killing 11,300, serves as a stark reminder of the devastating impact an outbreak can have. And, the ongoing Zika crisis in South America, though not on the same scale as Ebola, is yet another example of how a virus can quickly spread. Each of the outbreaks affected thousands of people – and cost billions in lost economic growth. The U.S. and Swiss researchers from University of North Carolina at Chapel Hill; Dana-Farber Cancer Institute-Department of Medicine, Harvard Medical School, Boston; Institute for Research in Biomedicine, Bellinzona, Switzerland; and Institute of Microbiology, Eidgenössische Technische Hochschule Zurich, Zurich, Switzerland experts caution, WIV1-CoV could have a similar scope. The 2003 outbreak SARS started in Asia – but soon spread to two dozens countries in North America, South America, Europe and Asia. The new virus is very similar to SARS – as it originates from the same Chinese horseshoe bats as SARS and also binds to the same receptor inside the human body. SARS, which is short for Severe Acute Respiratory Syndrome, begins with a high fever, headache and body aches. People infected with the virus develop a dry cough after two to seven days – which most frequently turned into pneumonia, according to the United States Centres for Disease Control (CDC). The virus spreads through close person-to-person contact by respiratory droplets produced when a person sneezes or coughs. But, during the 2003 outbreak, some scientists hypothesised it may also have spread more broadly through the air. In the new study, a team of scientists analyzed SARS-like coronavirus sequences isolated from Chinese horseshoe bats. They then reconstructed the viruses to measure their potential to infect human cells and mice. The scientists discovered that the newly identified virus – WIV1-CoV – could bind to the same receptors as SARS-CoV. They also found that the virus ‘readily and efficiently’ replicated in cultured human airway tissues – which signified an ability to ‘jump directly to humans’. Menchery said: “The capacity of this group of viruses to jump into humans is greater than we originally thought. The team additionally determined that antibodies developed to treat SARS were effective in human and animal tissue samples against the new virus. That finding suggests a potent treatment option if an outbreak were to occur. However, treating WIV1-CoV with antibodies could lead to the same problem that arose with ZMapp – the antibody therapy used for Ebola. As with ZMapp, producing the WIV1-CoV antibodies at a large enough scale to treat many people may prove difficult, the scientists found. Problematically, the scientists also noted that when it comes to prevention, existing SARS vaccines wouldn’t provide enough protection against the new virus. That is because the new virus has slight differences in its viral sequence from SARS – which would render the SARS vaccine largely ineffective. Dr. Ralph Baric, who also worked on the study, said: “This type of work generates information about novel viruses circulating in animal populations and develops resources to help define the threat these pathogens may pose to human populations. “It’s important to note that it’s not an approach that’s limited to SARS or SARS-like viruses.